Discussion in 'Windows OS and Software' started by Kiliano Cinelli, Feb 24, 2018. Hey guys and gals!! 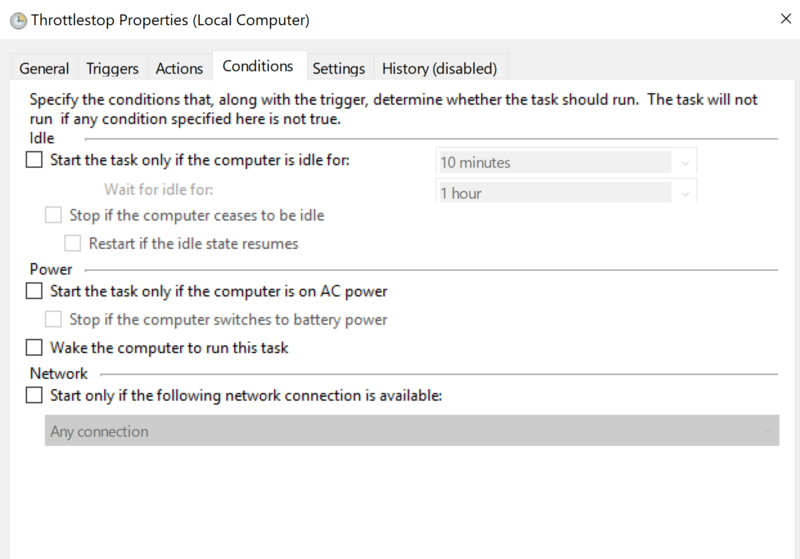 I’ve got a little question about throttlestop software on my new laptop, I created a undervolted profile for my cpu in throttlestop and used task scheduler to have it run on its own when my system boots up, all of that went fine but my only hiccup is when ever I click the icon to open up the interface, I just get a pop up saying “throttlestop is already running” which is what I wanted however, the interface never comes up!! It’s not on the task bar or in the tray... how can I have it set up that it starts with my computer the way it does now, but also be able to pull up the interface? 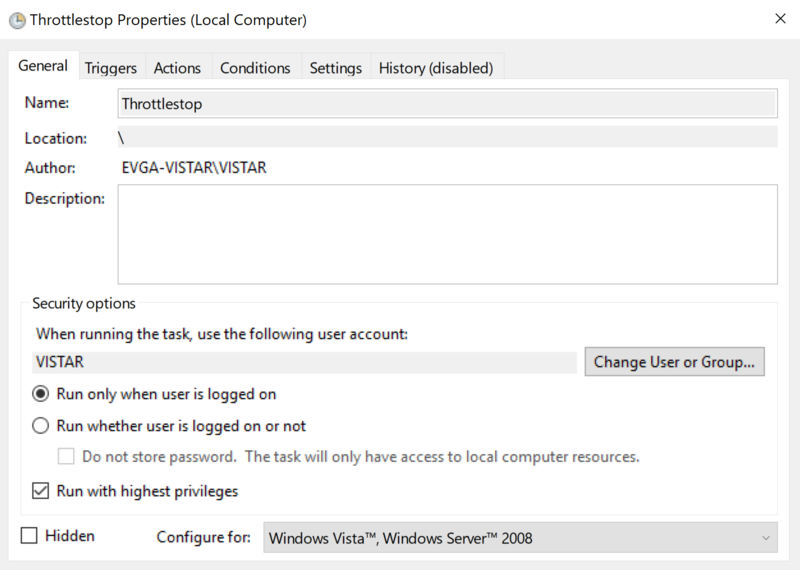 The only way I can access it is if I go into task manager, end the process and reopen it using the icon. Thanks so much! 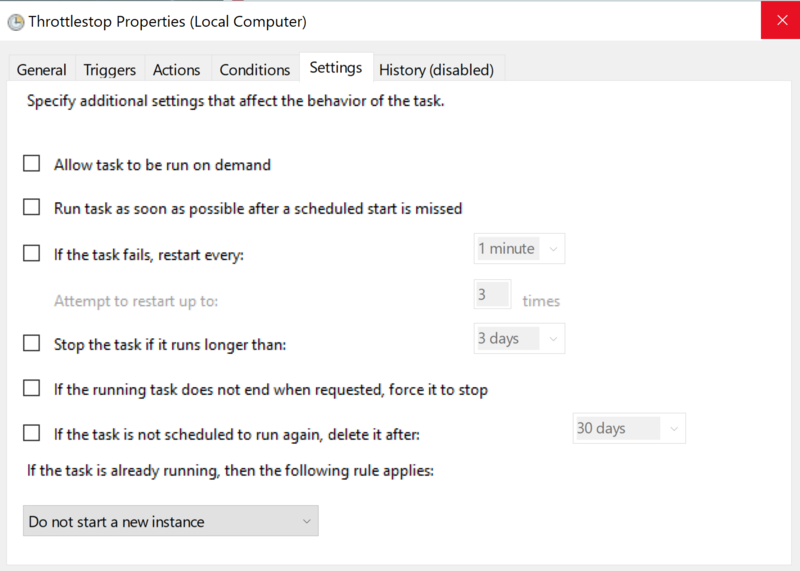 In the task scheduler, under trigger, set it to at log on of any user instead of at startup.....see if that helps. hmscott and Kiliano Cinelli like this. Ok great I’ll give that a shot! Thanks!!! 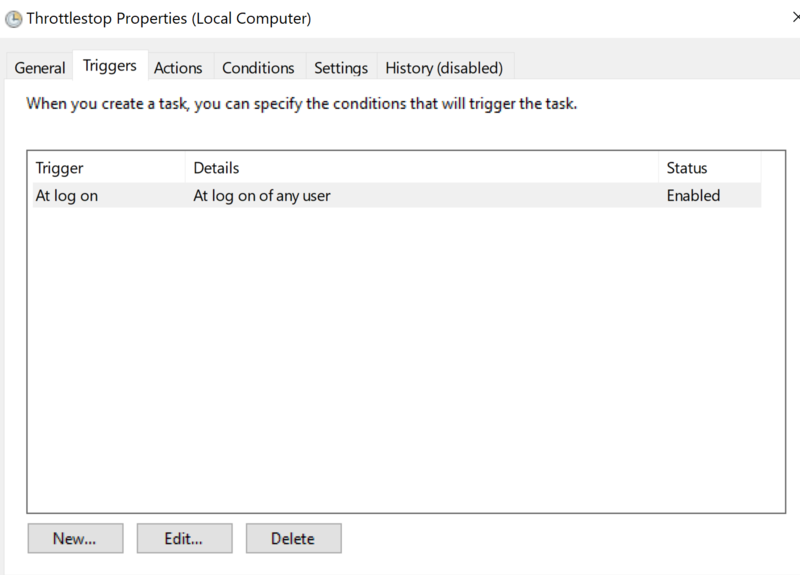 humm......under general, in the task scheduler, set run only when user is logged in and select run with highest privileges. If those settings don't work you can try cleaning the notification area icons cache. Also this is the TS thread where the developer, unclewebb, is at. i restarted everything from scratch and managed to get it working!! thank you guys for the help! i was wondering if i could ask one more thing, could i use intel's XTU to stress test the undervolt i did in throttlestop to make sure my laptop doesnt blue screen? thanks!! Throttlestop has its own benchmark tool. You find it in main TS window. Kiliano Cinelli and Vistar Shook like this.